The is going to be a lot barbecuing this holiday weekend for many of us. 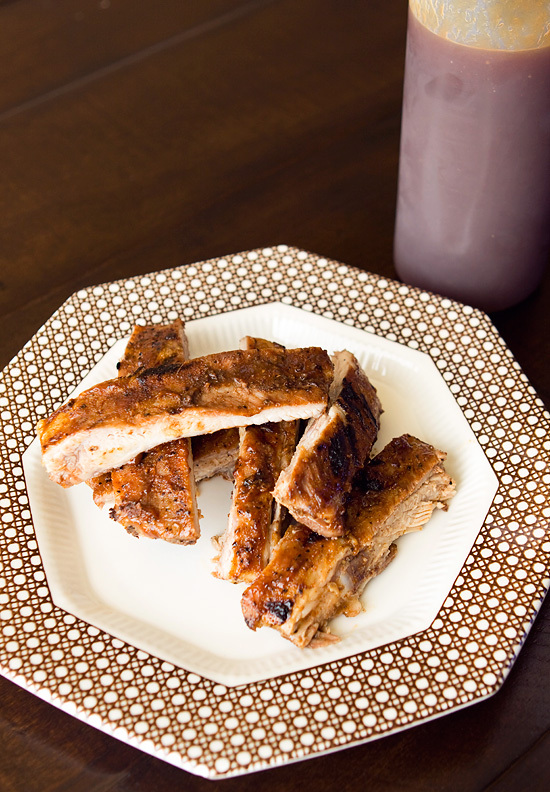 If you are still deciding what to serve your friends and families, and are sick of the go-to hamburger and hot dog option, you may want to give pork ribs a try. Ribs are a great option for serving at your next barbecue, and they are actually quite easy to prepare. I prefer to use baby back ribs or spare ribs. When I make ribs, I like to slow cook them in the oven first so they will remain moist and tender. I use my oven, since I don’t have a smoker. I preheat my oven to 225 degrees, then I spread out tin foil and place the ribs onto the tin foil and wrap them up tight. Place them on a cookie sheet in case it leeks, and slow cook them for about 4-5 hours. Be sure to let the ribs rest at least 10 minutes before slicing the ribs. This will keep the juices from running out right away, and keep them more moist. Hopefully this will result in some nice tender ribs. You can also wrap them back in foil, and place in the oven at 180 degrees until your guest arrive for a nice make ahead option. Oh Yum what is better than BBQ Ribs for any summertime party!! Come and join a very Fashionable Giveaway!